Whether you are designing a living room from scratch or just rethinking your current layout, well considered living room lighting design is key to creating a space that is both stylish and practical. So, check out our guide to nailing your living room lighting, including which type of light sources you need where and which are the best bulbs to set your desired mood. Looking for more design advice? Browse our guide to how to design a living room. You'll find plenty of inspiration in our stylish living room lighting ideas, too. What type of lighting do you need in a living room? Living rooms look their best at night when lit with layers of light. So, you'll rely on the typical three types of artificial lighting: ambient, task and accent. This mimics natural daylight and can be created with pendants, lamps and wall lights for soft pools of light and a relaxed atmosphere. This is a focused light, whether in the form of bright ceiling downlights, or a desk or reading lamp. Created with spotlights, downlights and uplights, among other styles of lighting, this is especially used to highlight design features such as alcoves or artwork, but can also be created with table lamps to create zoned pools of light, especially in an open plan space. Before you start designing your lighting scheme, consider the practicalities. Natural daylight: How much natural daylight does the room get, and when? South-facing rooms tend to be bright all day long – and, in summer, well into the evening – while north-facing living rooms might receive a minimum of daylight from morning to night. Browse our specialist guide for more tips on how to design a north-facing living room. Your room's proportions: Ceiling heights will affect the room's natural light levels, as well as the surfaces you're planning on fitting in the living room – light-coloured walls, flooring and furniture will all bounce light around and lessen the need for artificial lighting. When you use the room: Consider what time of day the room will be used, and how. You can then begin to plan in and adjust how much ambient light the room needs to be functional and relaxing, and what kind of task lighting would suit your family’s needs. Seating areas, for example, require targeted lighting such as a directional floor light or a pendant light that provides a central overhead source. Eliminating dark spots: Think about natural dark spots, too. For example, if you’re planning a kitchen extension, the area in the deepest part of the extension, perhaps the living space, will lack natural light, and might need lighting during the day. However, it's worth talking to your architect first about improving light levels with glazing, bi-fold doors and rooflights. Check out our living room lighting ideas for more inspiration. How many circuits? An average living room will need three circuits: one for downlights or the central pendant; one for table lamps; and one for wall lights, for example. If you are designing a living room on a budget, dimmer switches are an inexpensive option and are great for changing the mood of a room. For more advice, check out our guide to LED lighting. Light colour can impact dramatically on your scheme. LEDs have a colour temperature measured in kelvins (or K) — daylight measures around 6,000-6,500 kelvins; candlelight comes in at around 1,800 kelvins. While you may want your LEDs to give off cool white light above worktops in a kitchen, warm white is much more relaxing for living areas. 'The most versatile colour for kitchen lighting, for example, is 2,700 kelvins, which gives off a slightly warm light that is creamy enough to have on during the day but is still a comfortable warm light for evenings,' says Rebecca Hutchison of John Cullen Lighting. Can you install living room lighting yourself? If you are on a budget, you might be tempted to install your own lighting, but if you are carrying out any electrical work in your home or garden in England and Wales, you will have to conform to building regulations. This means using an installer who is registered with a competent person scheme to seek approval from a Building Control body. You do not need to tell Building Control about repairs, replacements and maintenance work, extra power or lighting points, or other alterations to existing circuits, unless the work is carried out in a kitchen or bathroom. For more information, browse our specialist guide: building regulations explained. Then, go to the Government’s planning portal at planningportal.gov.uk. Should you invest in a lighting designer? Coming up with an imaginative, effective lighting scheme may be beyond your skills and isn’t generally within the remit of most jobbing electricians, in which case, you might like to use a lighting designer. 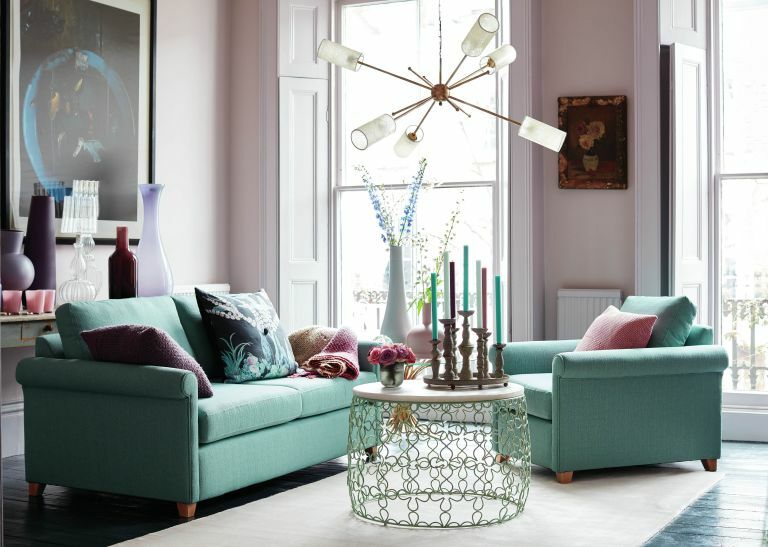 John Cullen Lighting offers a one-room design service for £150. ‘Using a lighting designer ensures you have the best possible lighting solution for all uses of your space, taking you from day to night,’ explains Sian Parsons, senior designer at John Cullen Lighting. ‘It also offers you the opportunity to enhance your interior decorative scheme while creating mood and atmosphere. Looking more lighting and living room ideas and inspiration?